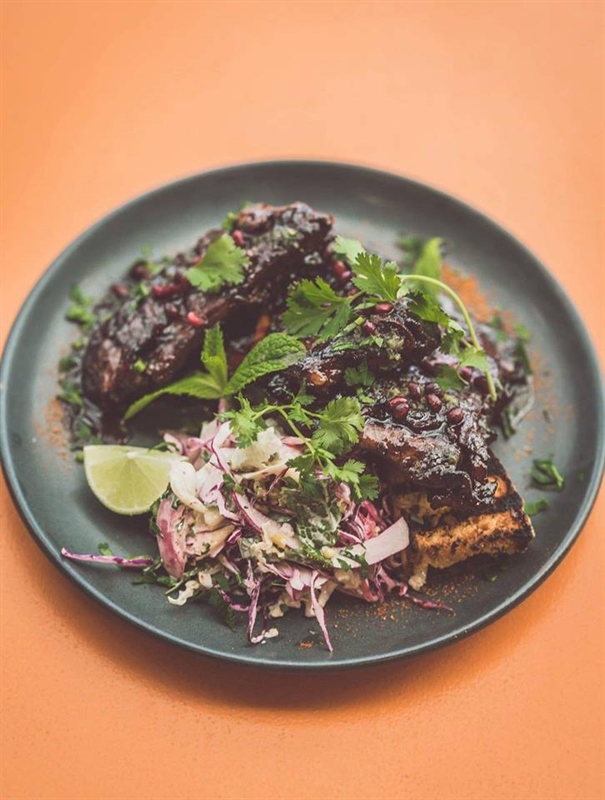 Braised pork ribs, pickled radish slaw, mojo, lime and pomegranate. 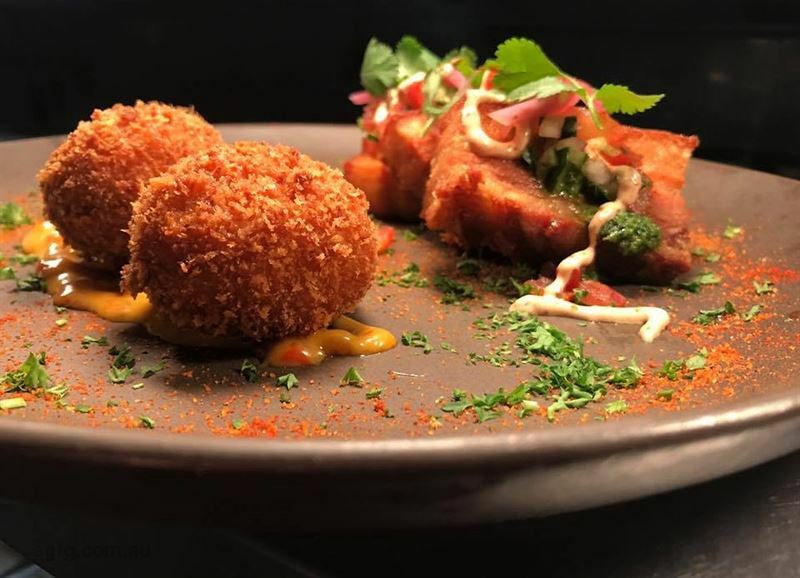 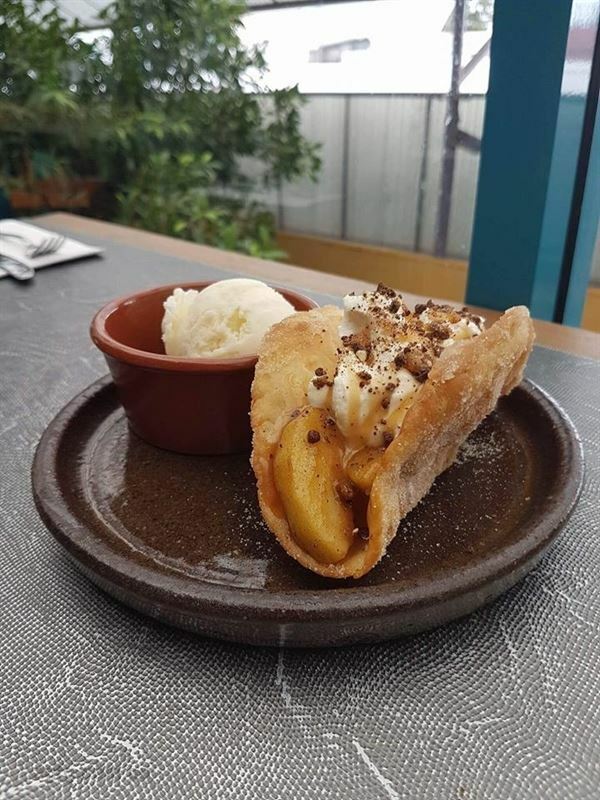 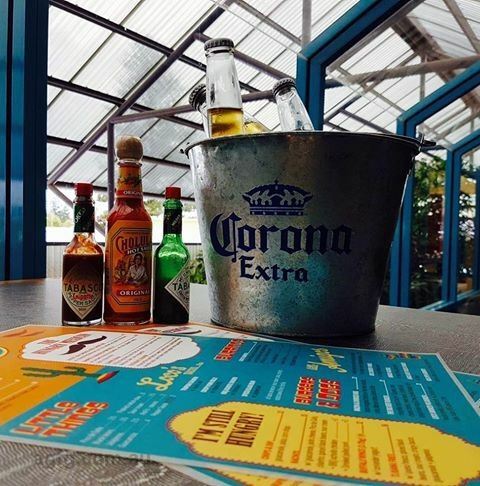 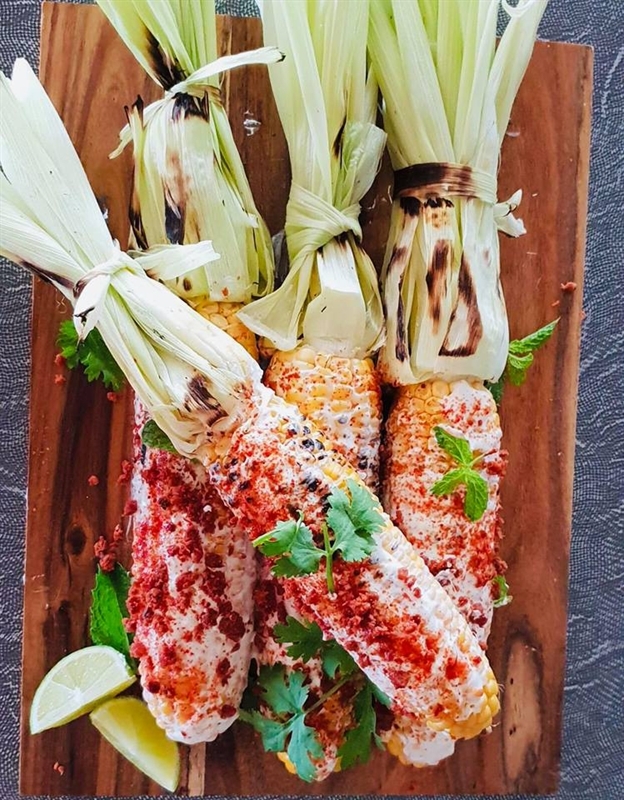 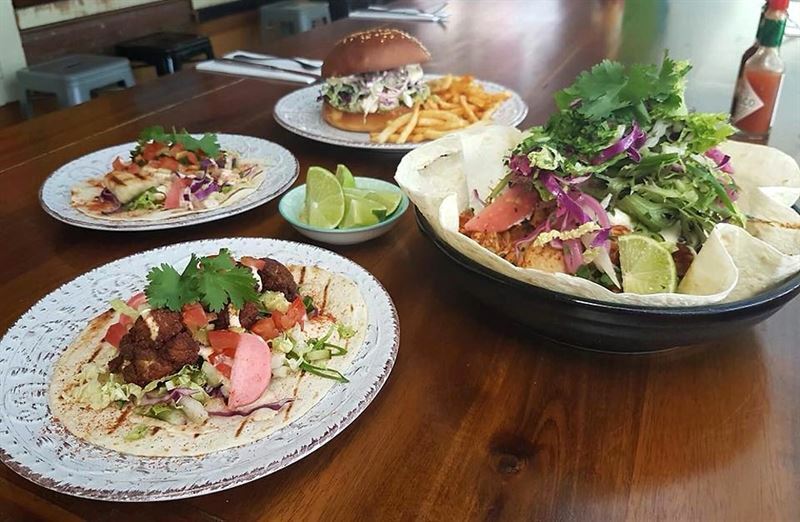 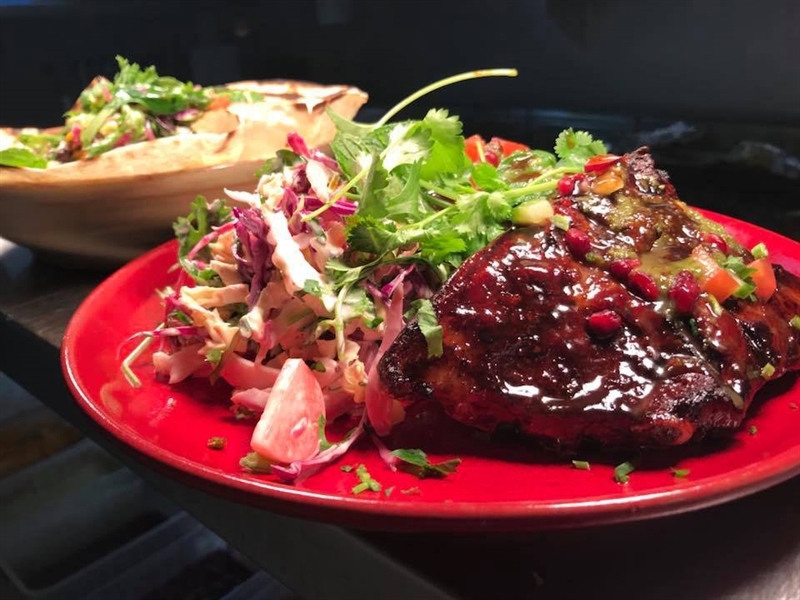 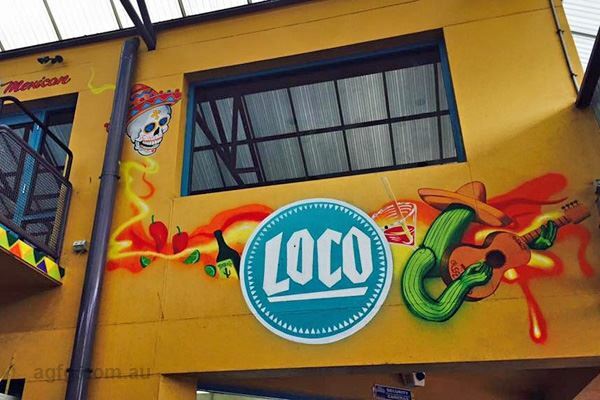 Gorge on a fiesta of flavours at Loco Mexican, a vibrant hot spot to see and be seen in Victor Harbor in the upstairs level of the Harbor Mall. 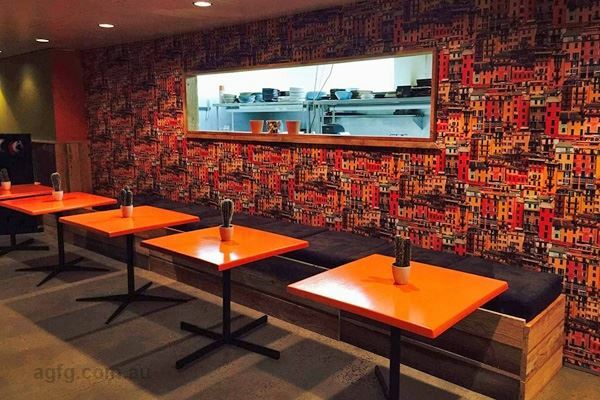 Radiating warm and lively colours, inside feels energetic with a wallpaper backdrop of orange and red apartment buildings and tables in burnt orange adding character, while a window gives a sneak peek into kitchen creations. 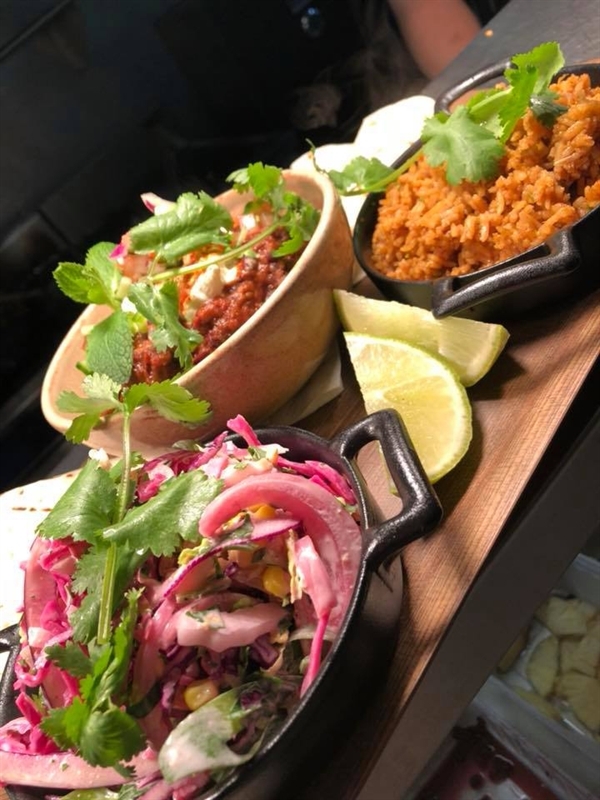 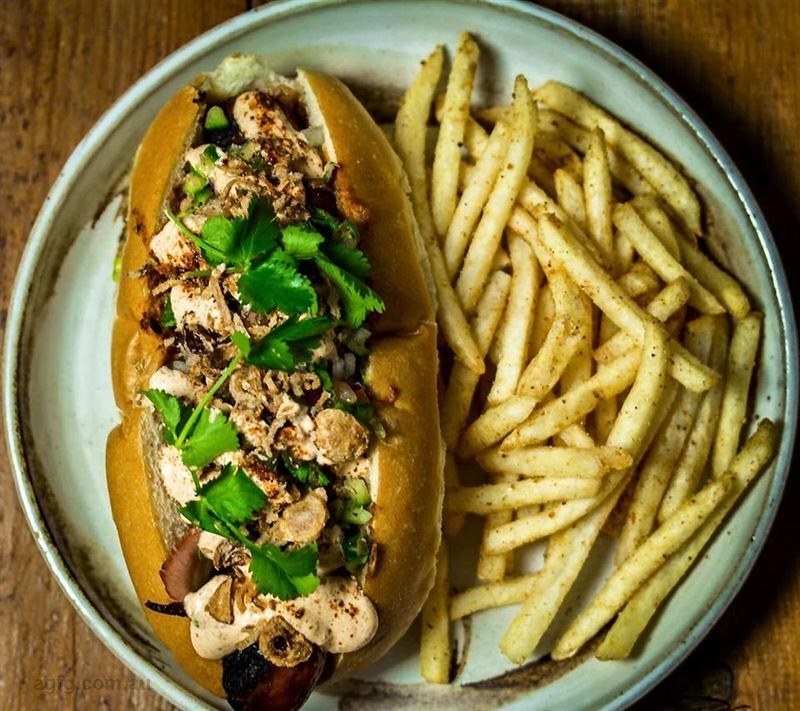 As much as possible is prepared from scratch inhouse, including smoked meats, pickled vegetables, spice mixes and sauces to ensure fresh and zesty flavours will tingle the tongue. 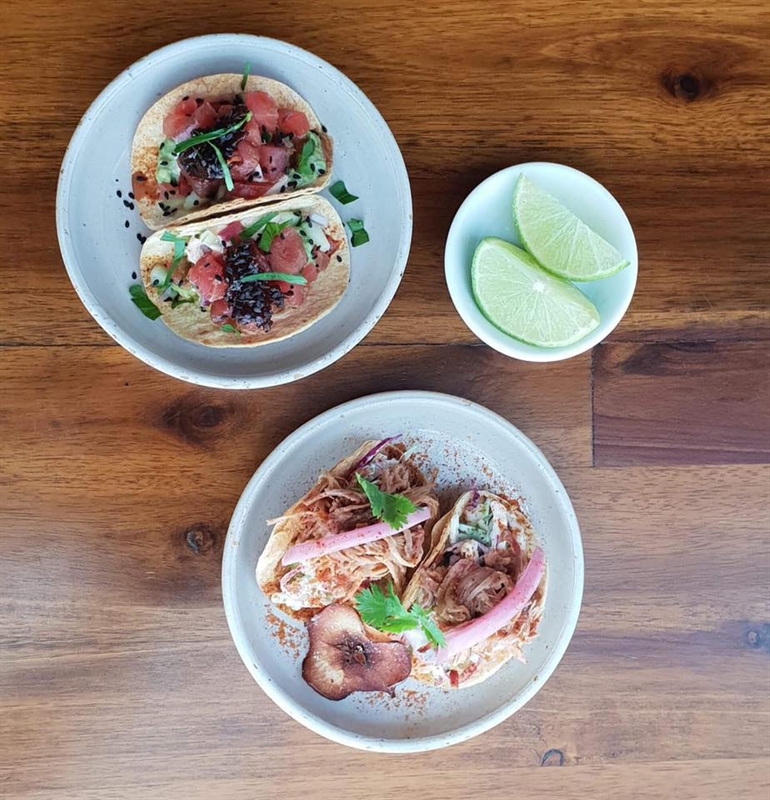 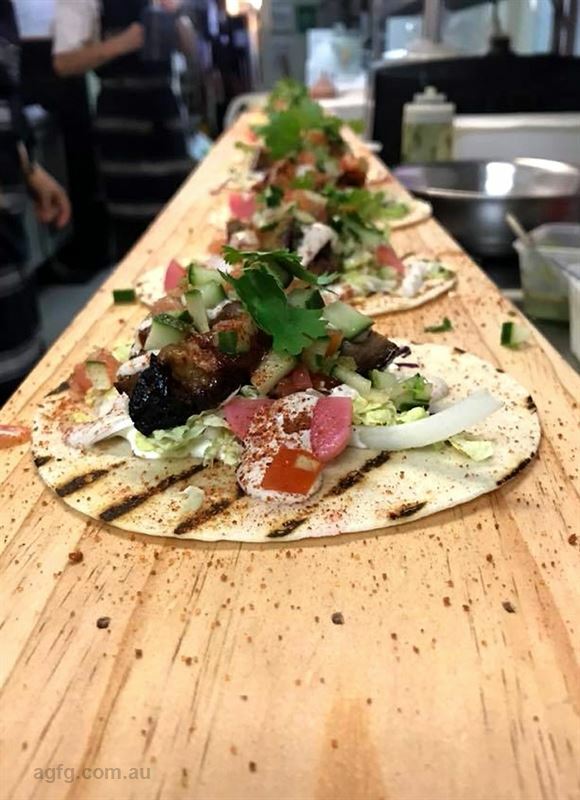 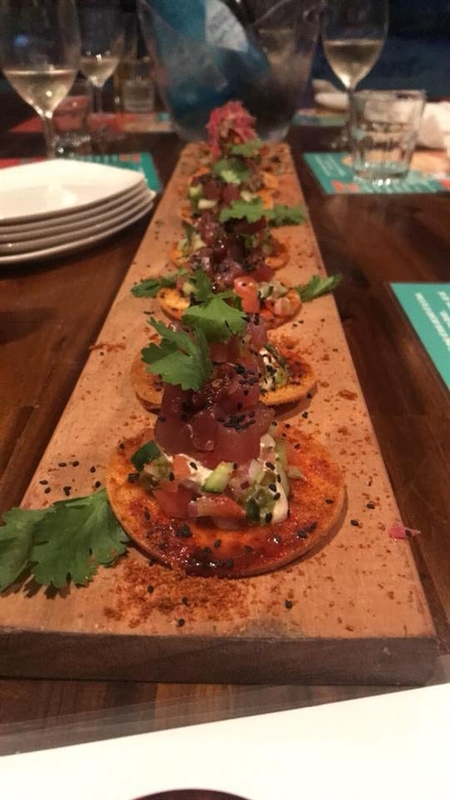 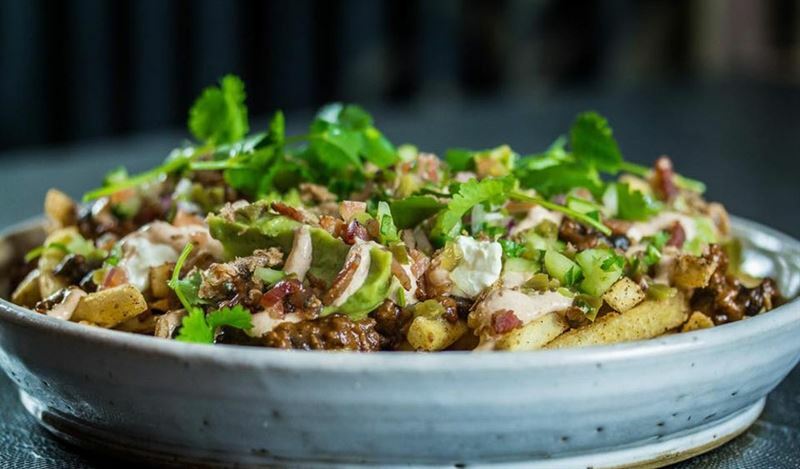 Snack on street food like an achiote chicken tostada, with chipotle crema, salsa, guacamole and pickled onion; or devour soft tortilla tacos, filled with crispy pork belly, green mojo, sour cream, pickled radish slaw, pico de gallo and dirty fries.